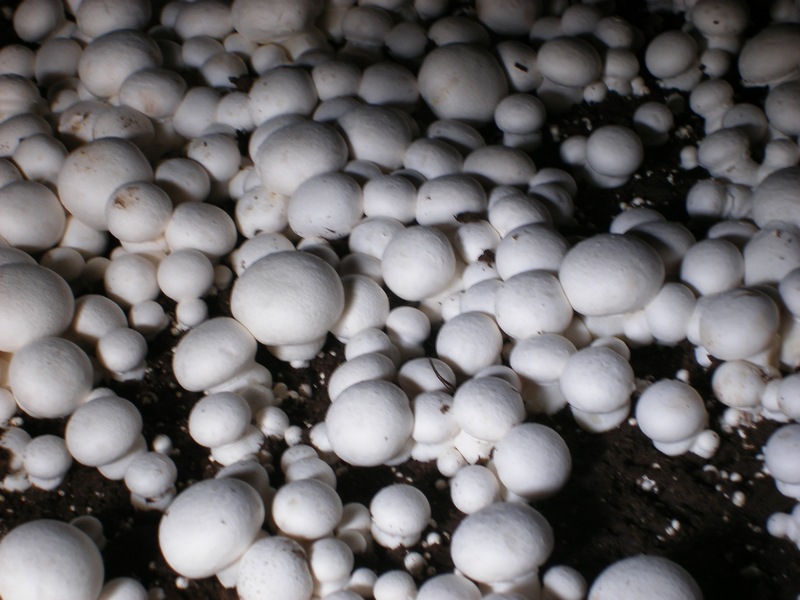 The garden-variety, white button mushroom. The vanilla of fungus, found plastic-wrapped in produce aisles at every grocery store. Sliced raw atop all the most uninspired salads I have eaten. I've never given this mushroom much consideration. In fact, I am generally prejudiced against them. 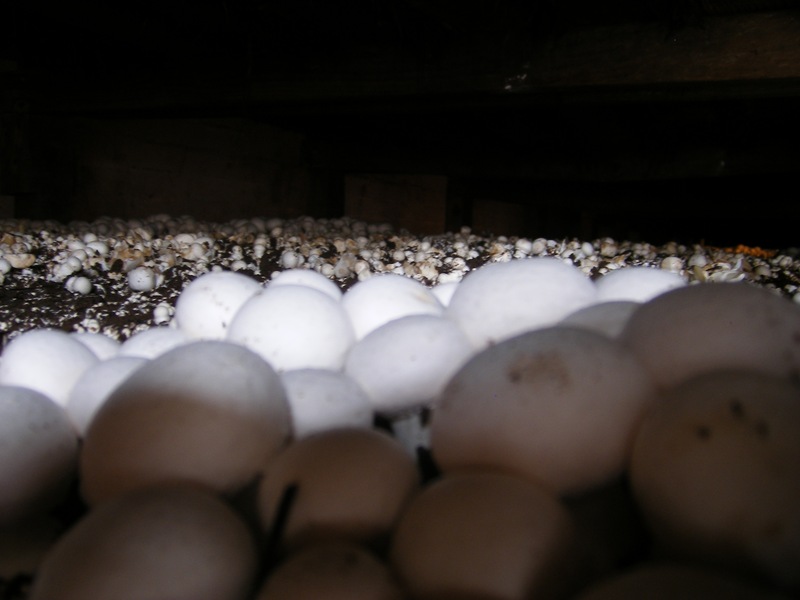 Recently, I had the opportunity to visit a mushroom farm. Walking past a steaming pile of compost, and I mean steaming, we entered one of the pens. Mushroom studded compost pallets extended as far as the eye can see. It was a cross between an alien landscape and a perverse marshmallow-mushroom nightmare. With a simple twist, the entire mushroom came out of the soil. I do not like raw mushrooms. I do not like them. Don't mushrooms grow in poo? I hesitantly took a bite. Meaty with a delicate, earthy flavor. Moist. None of that dry woodiness, or 'shroom slime. Another bite and the mushroom was gone. What the hell have I been eating all of these years? In a single bite, every white button mushroom I have ever eaten immediately became stale.